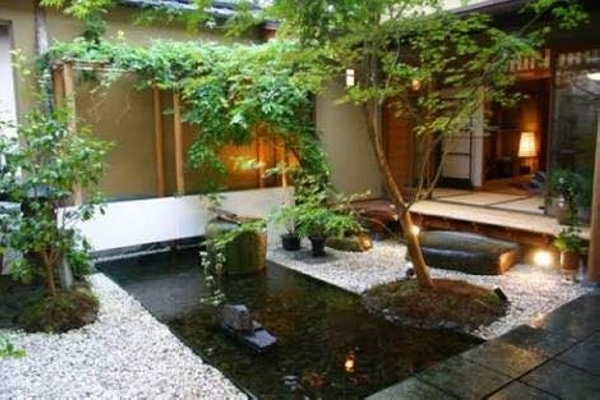 If you are a true gardener and have been into this since long then you would must be aware of the fact that Japanese gardens initially started off by borrowing largely from the Chinese model. But later on they achieved their own inimitable flavor and distinct features. 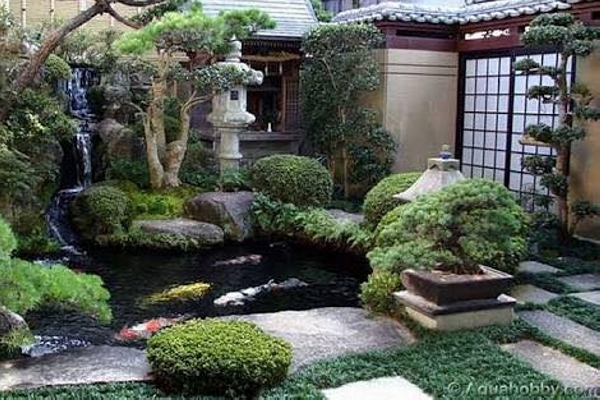 None of us would be able to understand a Japanese garden until we walk into one because there is no perfect photograph or movie that can completely demonstrate the true idea of a Japanese garden. 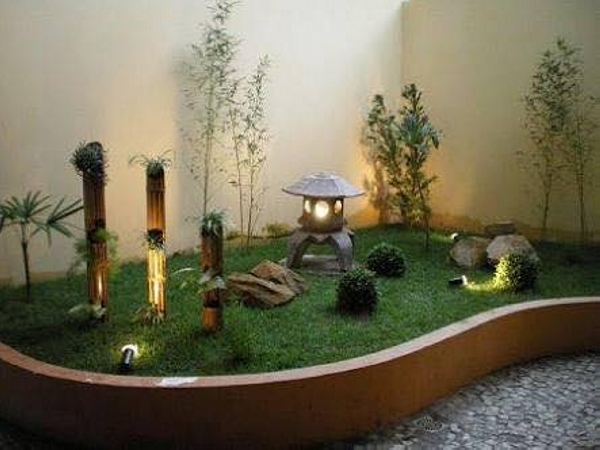 Here are a few ideas borrowed from the Japanese garden ideas. Like in the very first demo you can see the same traditional curvy bridges along with a wooden pergola for sitting space. Some smaller plants along with the amalgamation of giant trees are also planted in there. 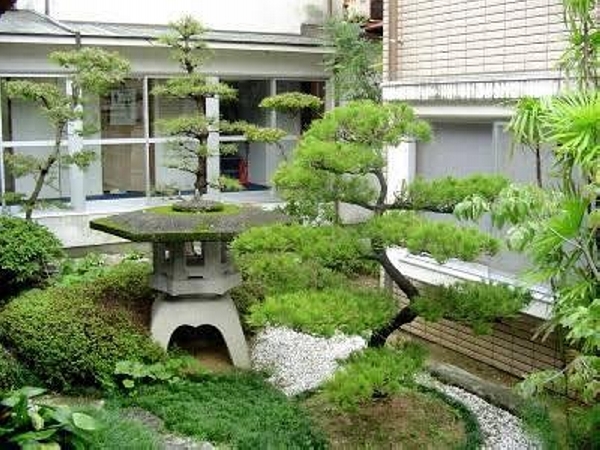 Now coming towards the next one, we can see a curvy boundary all along the miniature Japanese garden having cut tiny grass. Special thematic arrangements could be observed here. While some special lighting arrangements could also be seen here. 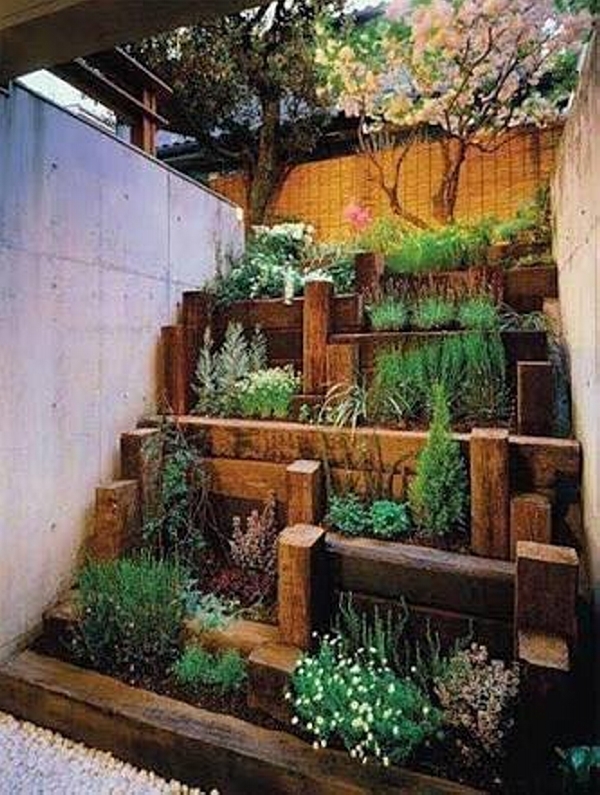 This is truly a mixture of small and relatively bigger plants. 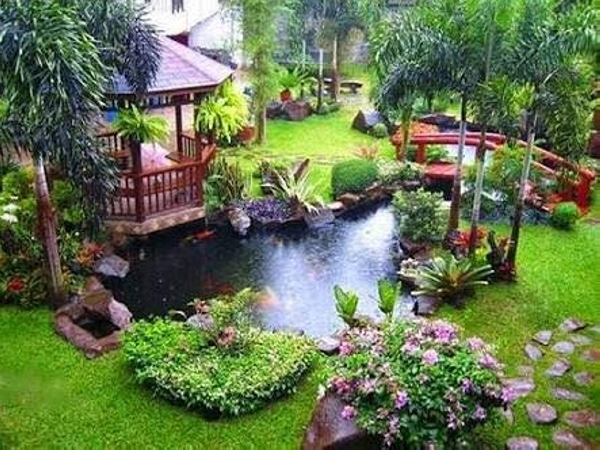 Though there are not covered any larger areas of land as green landscape, but even the smaller plots are covered so smartly and decently that they fulfill the need of a full fledge green landscape. 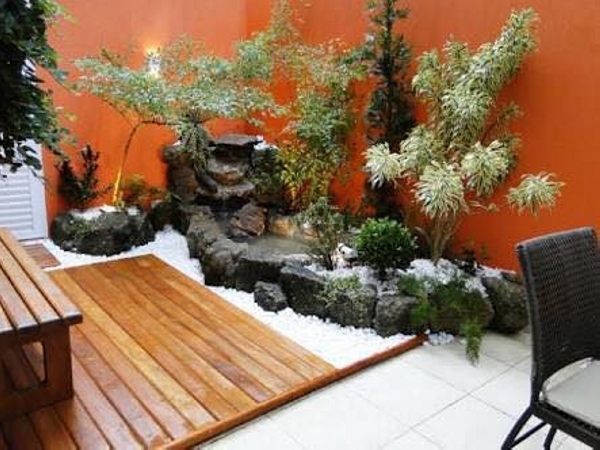 Now have a look on this next project, first of all there is a fine wooden deck along with the matching bench so that one could enjoy the view by sitting right in the front of the view. 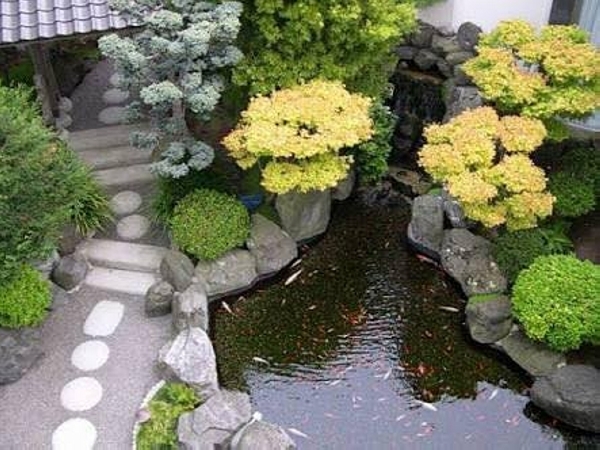 Secondly some black rocky stones are used in making a natural looking waterfall to give it a more holistic and natural look. 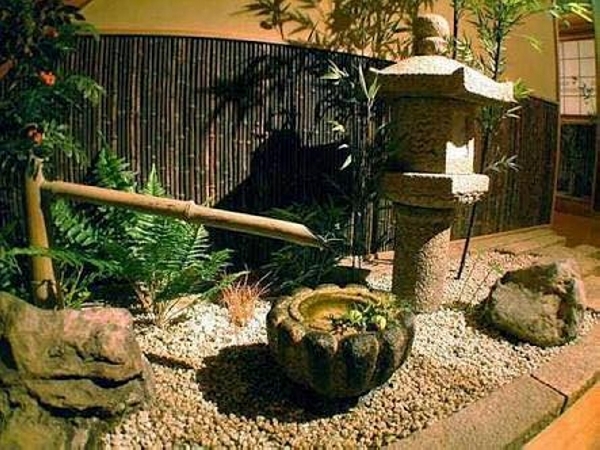 Plus the plants selection is also made primarily keeping in view the traditional choices and preferences.